Attention island-hoppers and champagne-poppers: Get beach-to-bombshell hair - tousled, touchable waves with sun-kissed shine - without the salty stiffness. Our moisturizing glamour spray uses rich extracts and exotic oils for lush repair and sultry texture. Love Love this product! Love the smell too...im now going to buy the shampoo and conditioner in this brand. I Bought this while in Maui so I didn't have to fuss with my hair so much and I honestly fell in love mainly for the smell lol my husband compliments me on how great I smell after I put this in my hair. This spray is so good for the summers, it gives nice beachy- wavy hair. Fights humidity and doesn't make my hair look greasy and rough. Love the way my hair looks after spraying this one! This stuff is so great! I got it in my Birchbox and I immediately ordered. I can't even explain what it does other than make your hair perfect. It's not gritty but gives texture and just the right amount of healthy shine. 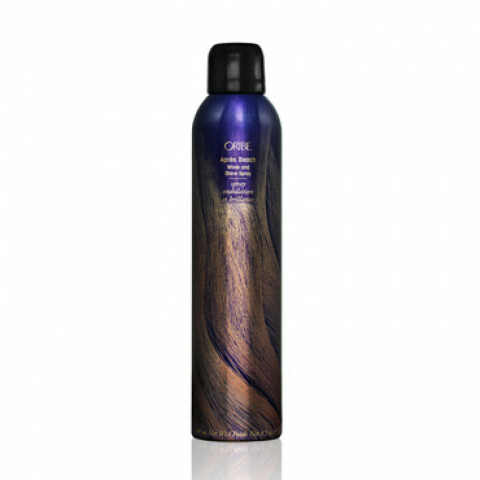 i love most products by Oribe and this one definitely does not disappoint. leaves your hair feeling a bit textured but still soft and shiny. actually looks like beachy hair! has the signature oribe scent which smells so yummy and is not overpowering. a haircare must have!